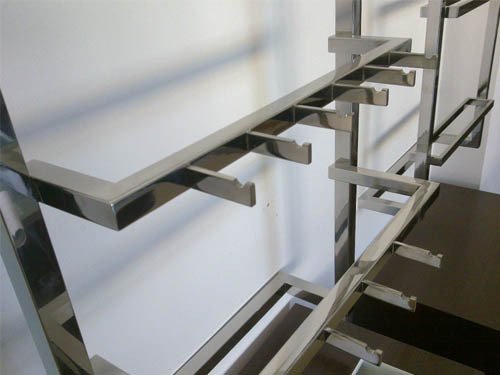 Remember the store clothing racks you see when you shopping in the boutique, the rack made of stainless steel is processed perfectly to display the clothing in store. Only a few of them made of antique wood, normally stainless steel is the main material of the store clothing racks. Unlike the basic displaying function like before, now the store clothing rack has more meanings, the smooth surface and corners of the stainless steel make it safe to all kinds of clothes, which ensure there is no scratch occurred while customers shopping, also it is easy to maintain, it won’t get dirty indoor and easy to clean by the dry soft fabric. The mirror polishing surface of the store clothing racks coordinate with the stainless hangers and the store lights to heighten the grade of the clothes, so it is the first choice of the branded clothing chain store. Even you can recognize the brand when you see the clothing racks after you know them; normally the racks are same for all the chain stores of one brand. 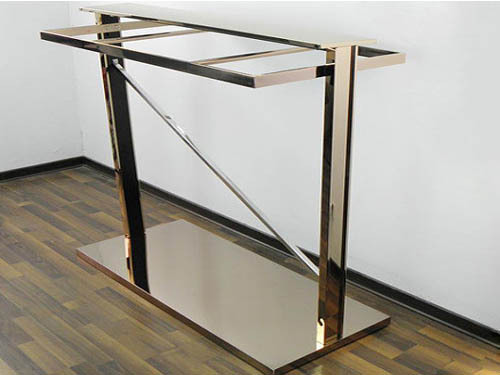 It is total customized made, so there are kinds of design or style of the racks, there are square clothing racks for summer, or the racks made of round pipes for winter; the racks can be mounted with the wall or it can be moved easily by the wheels. Understood that only the branded or grade stores using the exquisite clothing racks, so the products need to be as perfect as possible, the products will be manufactured based on clients’ design strictly. 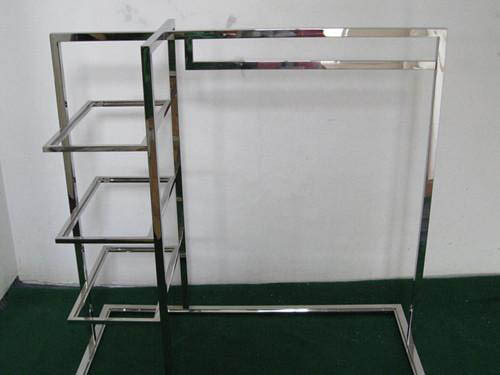 There are often the color requirements of the stainless steel store clothing racks, the plating rose gold and Champaign gold are the good choice for them.